Ravens fascinate me. 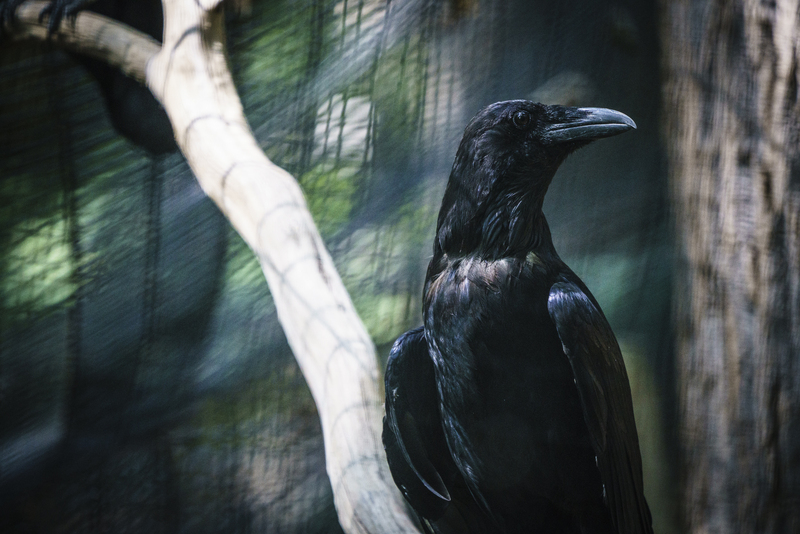 Along with parrots, ravens show "bird brain" might not be quite the put-down it's intended to be. Ravens appear to make plans and nurse grudges. Think of that when reading my favorite poem, Edgar Allan Poe's "The Raven." Quoth the raven, "Nevermore!" I exulted in spying a pair of ravens in an enclosure while walking around the National Zoo this weekend. Their black aspect gives them a haunting beauty -- it's apparent why such a creature fits into Poe's oeuvre.